Dr.Simeon O. Ayoola is a lecturer of Aquaculture, Eco-toxicology and Pollution management in the Department of Marine Sciences, University of Lagos, Lagos state, Nigeria. Formerly with Nasarawa State University, Keffi, Nasarawa State as lecturer and University of Ibadan, Nigeria as researcher. He has wide experience in production, teaching and administrative positions over years. He is a member of Fisheries Society of Nigeria, Society of Toxicology in USA and also member of Ecological Society. He is a graduate of the University of Ibadan, Nigeria. He was awarded his PhD (Aquaculture and Eco-toxicology) from University of Ibadan. His referred articles appear in the European journal of scientific research, African Journal of Biotechnology, World Journal of Biological Research, African Journal of Agricultural Research, International Journal of Biological and Chemical Sciences, Journal of Environmental Extension, African journal of livestock Extension, Obeche Journal, Journal of Aqua field and African Journal of Environmental science and Technology. His forth coming articles will appear in the African Journal of food, Agriculture, Nutrition and Development. He has published a book on ‘Fish Farming (Aquaculture): A Money Spinner (2006).’Among the courses he teaches are Aquaculture, Fish farming techniques and Hatchery Management, Application of computer to Agricultural production, Fish production and Management, Pond construction and Management, Fish farming Engineering, Water quality Management and pollution control, Fish parasitology and diseases and Economically important crustacean and Mollusca. He peer-reviews for the African Journal of Food, Agriculture, Nutrition and Development, International Journal of Biological and Chemical Sciences, Journal of Environmental Extension and African Journal of Agricultural Research. His is a consultant in Aquaculture and pollution Management. He is currently writing a book titled; Modern Fish Farming Techniques (Aquaculture). Grace Mbagaya is an Associate Professor in Nutrition in the School of Agriculture and Biotechnology, Department of Family and Consumer Sciences Moi University, Eldoret Kenya. Prior to this, Mbagaya had been in the School of Education, Department of Home Science and Technology in the same university where she was head and taught a number of courses. 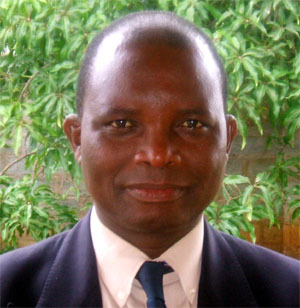 Prof Mbagaya holds a Ph.D (Human Nutrition) from Moi University, MSc. (Applied Human Nutrition) and a B.Ed. (Home Economics) Nairobi University. In addition, Mbagaya has a Post Graduate Diploma in Food and Nutrition Security from Wageningen University Netherlands. Mbagaya has developed a distinguished career in teaching, research and supervision of Undergraduate, Masters and Ph.D students in Moi and other Universities in the country. Her current research projects include: The Moi University (Vlaanise Inter-universitaire Raad (VLIR-UOS Belgium) project which is promoting the growing and utilization of Soya beans as a cheaper source of protein in Western Kenya; Moi University Commission for Higher Education (CHE) project on Water Resource Management and Food Security in Trans-Nzoia and Kipkelion Districts of Kenya. Prof. Mbagaya has had the opportunity to present her research findings in both local and international conferences where she had a chance to interact with other scholars in the same or other professions. 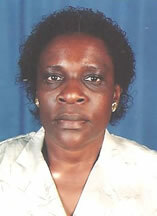 Prof Mbagaya has co-authored several research publications in peer reviewed Journals some of which she serves as a reviewer. She is internal and external examiner in Schools of Public Health in a number of universities. Apart from teaching, Prof. Mbagaya has been involved in the review and development of undergraduate and post graduate programs in Moi University. Prof. Mbagaya has a wealth of experience having served 10 years in the civil service in agriculture extension and training, community and youth development programmes and 18 years of teaching at the university. Her research interests include: Maternal and Child Nutrition, Nutrition and HIV/AIDS, Nutrition Supplements, Food Security, Gender and Agriculture, Nutrition Education, Nutrition Interventions, Diet, Overweight, Obesity and Physical and Activity Patterns. Prof.Mbagaya is grateful to a number of individuals who have contributed to her academic and professional growth. I owe a lot of appreciation to my family and Hon. Prof.Ruth K.Oniang’o for her inspiration, guidance and moral support. For indeed you have been my teacher and mentor! Obed Isaac Lungu is a Professor of Soil Chemistry and Fertility at the University of Zambia. In addition to academic duties at the University, he is a Soil Management Specialist at the Golden Valley Agricultural Research Trust, a public-private partnership Research and Development institution in Zambia. Professor Lungu has held senior academic positions outside Zambia, including that of Associate Professor of Soil Science at the Limpopo University (1992-1993) and Vice Rector (1993-1995) and Rector (1995-1996) of Madzivhandila College of Agriculture in Limpopo Province of South Africa. He earned a B. Agric Sci. from the University of Zambia, an MSc degree in Soil Science from the University of Newcastle Upon Tyne, UK and a PhD degree in Soil Science from the University of California, Davis, USA. His research focuses on soil quality improvement, with particular emphasis on amelioration of soil acidity and optimization of nitrogen and phosphorus fertilization. He is currently working on loading of food crops with micronutrients (selenium and zinc) in order to increase their intake in diet not only for the general good health of the population but particularly for the mitigation of AIDS. This work is being conducted under a broader regional project “ Strengthening HIV/AIDS and Food Security Mitigating Mechanisms Amongst Smallholder Farmers in Botswana, Lesotho, Namibia and Zambia”. The research aims to establish the relationship between micronutrient status of the soil and content in food crops. Lungu’s work on soil quality improvement in Southern Africa has contributed to some continental policy developments. His co-authored paper “African Soils: their productivity and profitability of fertilizer use” that was read at the African Fertilizer Summit 9-13th June 2006, Abuja, Nigeria contributed to The Abuja Declaration on Fertilizer for a Green Revolution in Africa by African Heads of State at the Summit. His research on selenium in soil and food has demonstrated a new context of viewing HIV and AIDS, not only as a medical problem but as a complex link involving agriculture, food, medicine and nutrition. He proposes that selenium and indeed any micronutrient intake through food is the most equitable strategy for improving the nutrition of chronically undernourished people. His publications range from theses, journal articles, occasional papers, special papers reports and commentaries. He has authored and co-authored many articles in refereed journals and special papers. Lungu has also authored chapters in books and written more than sixteen papers published in refereed conference proceedings. He regularly publishes popular extension education articles in the field of soil and water management for sustainable agricultural production. Lungu has served as a consultant for a number of governmental, non governmental and international agencies such as the FAO, World Agroforestry Centre (ICRAF), PELUM, SADC/ EU Land and Water Management Applied Research & Training Programme, USAID, Food Security Project/Michigan State University, CARE Mozambique, ASP/DANNIDA Tanzania, Alliance for a Green Revolution in Africa (AGRA) Soil Health Programme, ADB/Ministry of Agriculture Zambia, Soil Fertility Consortium of Southern Africa, Leadership for Environment and Development, Agricultural Innovative Fund. He is co-founder of the Kafuku Farm Institute (www.kafuku.com), an organization seeking to promote sustainable and profitable agricultural practices amongst smallholder farmers in Zambia. In 2002 the institute was recognized with an award for its work in the community by the Times Newspapers of London. Publications: (5 key ones) M.A. Oyunga Ogubi, N.M. Ng’ang’a & J.A. Olayo (2000). “Sweet potato processing for improved vitamin A intake: Gender implications and potential for sustainable technology adoption in Siaya District, Kenya”. African Potato Association, Conference Proceedings, Vol. 5. pp 491-495. Vital Hagenimana, Jan Low, Mary Anyango, Kathleen Kurz, Simon T. Gichuki, and Jackson Kabira (2001). Enhancing vitamin A intake in young children in western Kenya: Orange-flshed sweetpotato and women farmers can serve as key entry points. Food and Nutrition Bulletine, vol. 22, no 4, The United Nations University. Oyunga AM, and Mwadime RK (1998). A Qualitative Survey on Issues Related to Vitamin A Deficiency in Nyarongi Division, Homa Bay District". Sight and life, 4: 29-35. Hagenimana, V., Oyunga, M.A., Low, J., Njoroge, S.M., Gichuki, S.T., and Kabira, J.N. (1999b). The effects of women farmers' adoption of orange-fleshed sweet potato: Raising vitamin A intake in Kenya. ICRW/OMNI Research Program, Research Report Series 3. International Center for Research on Women, Washington, DC, 24p. M.A. Oyunga Ogubi, Simon J. Ochieng, Sammy Agili & Martha Oudia, (2004)Marketing Potential and Prospective Marketing Strategies for Pro-Vitamin ASweet potato Varieties in Western Kenya- A Case study of Siaya District. KARI Publication. 1) Borlaug Fellowship Program for Women in Science in Africa, Pennsylvania State University, Department of Nutritional Sciences, USA. 2007. 2) Second Best Scientific Presentation in Food Crops at the 11th Kenya Agricultural Research Institute Biennial Scientific Conference, Nairobi, Kenya 2008. 3) Certificate of innovation in recognition of the high level of inventiveness during the occasion of the First Africa-Wide Exhibition on Innovative Food Processing Technologies for Commercialisation, Nairobi, Kenya. June 1996. What can you say about yourself that you wish other people to know? I am a very positive individual and am know by colleagues as a hard working person. I try to be very honest and very pleasant to be around.